Everyone everywhere needs to hear about Jesus. EncounterLife exists to help you reach your community with the good news. We have developed tools and resources to empower and equip you to share the hope of Jesus with those around you. All it takes is a simple “Yes!” and a willingness to go. The harvest is waiting for you. Get ready. We’ve developed Engagement Campaigns for outreach. Campaigns include engager literature and follow-up websites to help you engage the lost in your community. 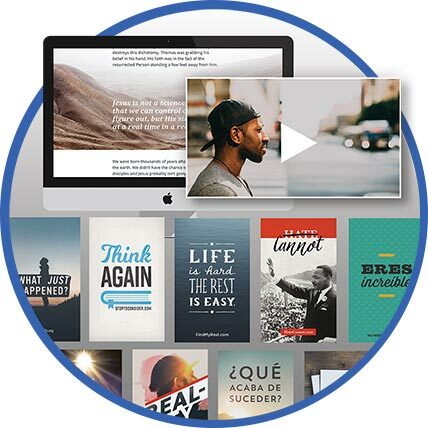 Engagers are non-threatening, culturally relevant printed resources to give you language and help you start dialogues with the lost and those who are seeking. No matter where you live, someone you know needs Jesus today. But first, they must hear. Our training is designed to equip you with both the skills and confidence to mobilize for home-to-home outreach. Interested in outreach training for your church or group? The Encounter Outreach App is a unique mapping technology to maximize your outreach impact. 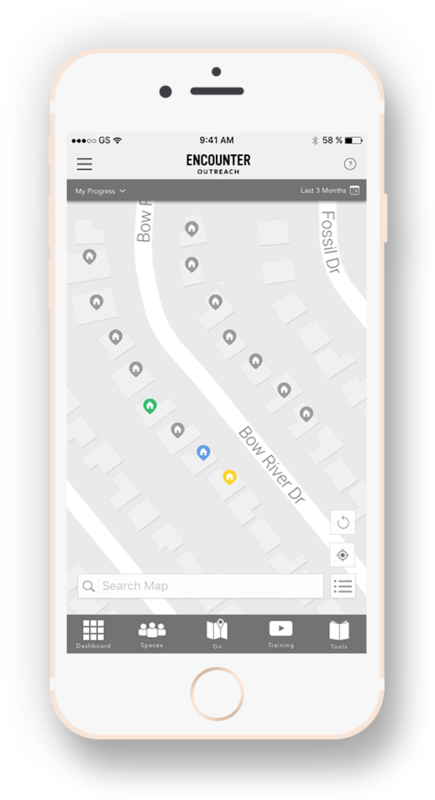 It’s user-friendly, logical, and gives a real-time picture of engaged and unengaged areas in your neighborhood. The App and website give you the ability to start praying for and reaching people right where you are. Create your own group, download engagers, and stay connected. For more information about training and resources please use the form below.